If I guy has longish hair and a beard, I find it hard to say no. Wherever I turn it seems, I see men embracing the man bun, a nicely groomed beard or old school twirled mustache. 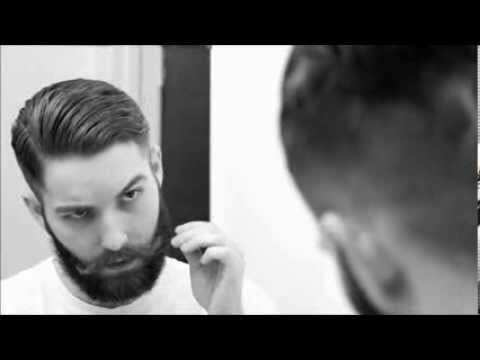 Growing up in a small country town in Australia, men either were clean shaven, had a goatie, or a basic beard, they were simple, no one said they were in fashion or were hipsters because of the facial hair they sported, they were just men that liked their facial hair, nothing more. 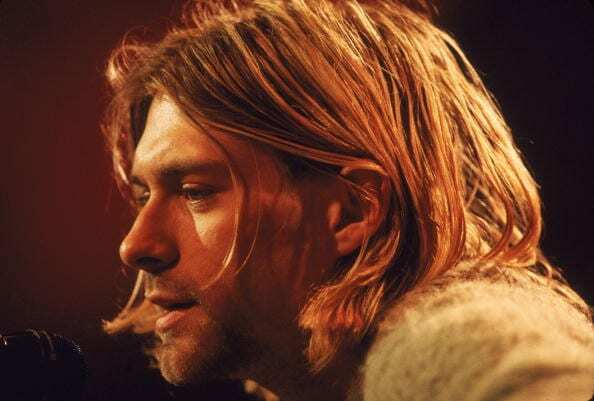 I think my lust of a guy with facial hair and long hair stemmed from the one and only Kurt Cobain, now I was only 5 when he passed away so I didn’t get to appreciate him in his prime years, but I remember as a teenage thinking I as rebellious listening to my eldest sisters Nirvana CDs and daydreaming about this scruffy looking blonde haired man, and so my obsession began. This is where it all began, as a teenager, Kurt’s messy long hair and 4 day growth was all I daydreamed about. Although I still enjoy a man with long hair and a bit of facial hair, men in and around London have started to embrace the man bun. I remember when I first saw this trend appearing on the street, catwalks and on the tube and thinking how come guys can get their buns so much nicer than mine, jealous set in, and then lust. 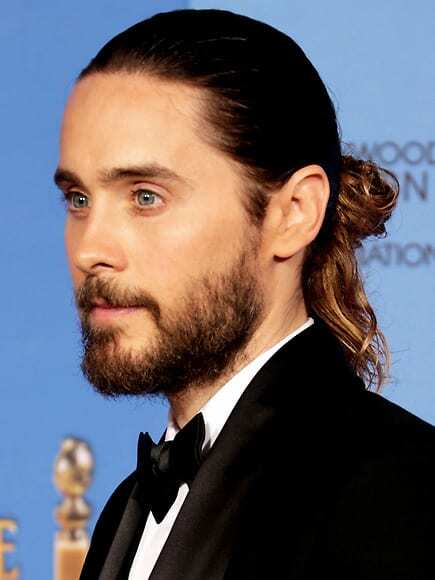 I have to say after seeing Jared Leto sporting both the man bun and a nicely groomed beard, he has set the bar HIGH for all you men. I definitely think the topknot is here to stay, even the undercut is making it’s move back into street style, with a lot of men keeping their sides cleanly shaven, but growing out the top of their hair, I love it! One facial hair movement I am not 100 per cent sold on, is the return of the perfectly styled moustache, or so GQ calls this particular moustache, The Lady Tickler. While working in Brick Lane on the weekends, I have noticed a lot of men embracing the moustache, I take my hat off to them for the effort that goes into tweaking the ends of the hair, to get that perfect curl, but for now, I’ll stick to men with beards and buns. Moustache Tweaking, these men have dedication. My love of men with long hair and facial hair may have started with Kurt Cobain, but it has stopped along the way appreciating the likes of Jared Leto, Matt Corby and Angus Stone, keep on embracing the beards boys!